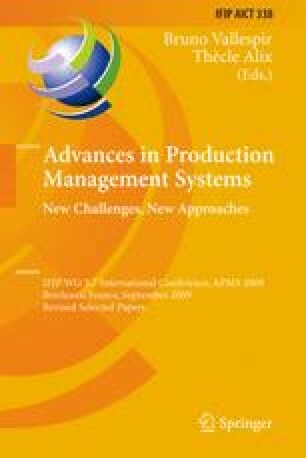 Lean production has lead to substantial improvements in performance across many industries and is widely implemented today. Certain aspects of lean such as the focus on workplace organisation (5S) and total productive maintenance (TPM) have been applied to all types of industrial processes, while lean production control methods have mostly been applied in discrete and repetitive, assembly-type production. We believe that the real benefits of lean, for example throughput time and inventory reduction, are only realised when lean production control methods are implemented effectively. Therefore, we investigate the traditional lean production control methods of Heijunka and Kanban, and evaluate the concept of every product every (EPE) as an alternative lean production control method for the process-type industries.